Ruby Wallis is a practice based PhD researcher with National College of Art & Design (NCAD), Department of Fine Art Media and GradCAM. She completed her M.A. in Documentary Photography in 2007 at The University of Wales, Newport and a Degree in Fine Art Painting at Galway-Mayo Institute of Technology in 2004. Wallis has been exhibiting internationally since 2002 and has been working as a lecturer at Galway-Mayo Institure of Technology and Griffith College Dublin in Photography Theory. 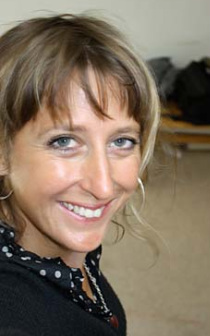 She has been a Community Artist-Facilitator with CREATE, Practice.ie and the Galway Arts Centre since 2002. She has been short-listed for the Gallery of Photography’s Artist Award in 2006 and 2009 and was part of their touring show An Insiders View Festival of Contemporary Photography which exhibited in Dublin, Arles, Paris and Berlin in 2008. Wallis has had work published and reviewed in The British Journal of Photography in 2008, Circa Art Magazine in Spring 2008 and The Irish Times in both 2006 and 2010. This work explores questions to do with fragility of shelter in a post ‘new age settlement.’ I am in the process of researching how multiple, experiential accounts can form a mapping process, which reflects on place. The research interacts with the text Giving an Account of Oneself by Judith Butler in which she examines the reciprocal nature of subject formation and proposes that there is no ‘I’ without the Other and that as we come into being we only define ourselves as ‘I’ through our formative relationships. Any attempt to give an account of oneself becomes problematic, fragmented and open to questioning. Butler proposes that stories must be told and accounts must be given, but with an open awareness to their fictional and subjective nature. The notion is to capture the exchange in the boundary between the individual’s physical body and the environment that surrounds it and to gather non-narrative pieces of video as experimental research. Each piece will be like a route/ road/ drift that will form series of ‘auto walks’. The portraits are a document to the individuals taking part in this project. The beginning of experiments in a reciprocal portrait making in which I attempt to explore the distance between myself and the other as part of an autobiographical dialogue with ‘our’ relationship to the place. Ruby Wallis' Auto Promenades video and sound installation in the Galway Arts Centre presents two versions of Salthill's beloved prom. On one screen we see a video of the artist swimming through the bay with the prom and the walkway in sight. The view of the swimmer is juxtaposed with a series of accounts from participants who describe their experience of Galway and the prom while walking the length of the prom. The accounts explore notions of 'otherness' and boundaries. There is a sensual quality to the video, with the water and sounds of the swimmer's effort drawing the viewer into their personal battle with the waves. The climactic sense of journey contrasts nicely with the epiphanical experiences of our other speakers who, in considering their previous adventures, reach a kind of understanding of their place in the world. There is an important account of scattering a friend's ashes at an unmarked burial ground for unbaptised babies by a woman in the local area. Themes of adventure run concurrently with feelings of displacement, both within the self and society. We get the idea that through analysing the littoral issues of the self we come to accept our role. Our place-ment becomes simply our place. Through making sense of the deliberate action of journey, Wallis' practice demonstrates the artist, participant and viewer as 'psychogeographer' of their own experience." "Local photographer Ruby Wallis, in her show Other Madonnas in GAC, builds on an already substantial body of work documenting alternative and tangential communities, on this occasion with a series of photographs of single mothers with their daughters. Avoiding the tendancy towards voyeurism or the kind of fetishism of disenfranchised groups you often find with social documentarians like Richard Billingham, Wallis focuses instead on the subtle dynamic which exists between mother and child, allowing it to occupy its own space in the frame. Tenderness, pride, obstinacy, antagonism, all emerge from the sensitive compositional arrangements."